Shares of Dilip Buildcon (DBL) moved higher by 17 per cent to Rs 607 apiece on the BSE on back of over six-fold jump in trading volumes. Till 03:05 pm, a combined 3.7 million equity shares representing 2.7 per cent of total equity of DBL changed hands on the NSE and BSE so far. In the past five trading sessions, the stock surged 45 per cent after the company said DBL Sangli Borgaon Highway Private Limited, wholly owned subsidiary of the company has received the financial closure letter dated February 25, 2019, from the National Highways Authority of India (NHAI). 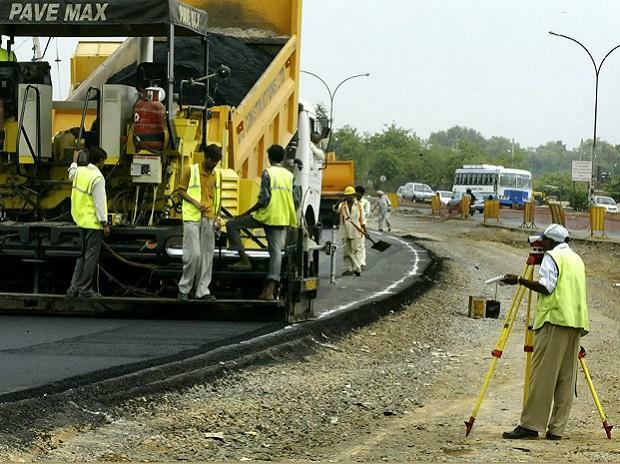 DBL received a hybrid annuity model (HAM) project from NHAI to develop a four-lane highway road (41.44 km) from Sangli to Solapur at a project cost of Rs 1,102 crore. The construction period for this project is 24 months. In the past one month, the stock of roads and highways construction firm outperformed the market by surging zooming 89 per cent, as compared to 1 per cent fall in the benchmark S&P BSE Sensex. It recovered 95 per cent from its 52-week low level of Rs 312 touched on February 5, 2019, on the BSE. DBL reported 26 per cent growth in net profit at Rs 209 crore in December 2018 quarter (Q3FY19). The company’s operational revenue grew 28 per cent at Rs 2,493 crore against Rs 1,948 crore in the corresponding quarter of previous fiscal. Ebitda (earnings before interest, taxation, depreciation and ammortisation) margin remained at the same level at 17.9 per cent against 17.99 per cent in a year-ago quarter. DBL received orders worth of Rs 1,809 crore during the quarter including Indore and Bhopal Metro project worth Rs 475 crore. As of December 31, 2018, The Company’s order book position stood at Rs 23,100 crore with roads segment contributing 81 per cent to the total order book. Going forward, analysts at Narnolia Financial Advisors expect, the revenue growth momentum will continue to remain strong on the back of robust order book with superior execution and early completion of projects will help to keep EBITDA margin healthy. “DBL has completed financial closure of all the 12 HAM projects and appointment date of 4 has been already received. Another couple of projects will receive appointment date in Q4FY19 and reaming 6 projects is expected to receive in Q1 of next year. Working capital days have improved from a high of 137 days to 83 days and it will further rationalize by way of implementation of SAP. A large amount of mobilization advance is expected to receive, which will keep borrowings level at 1 time,” the brokerage firm said in result update.